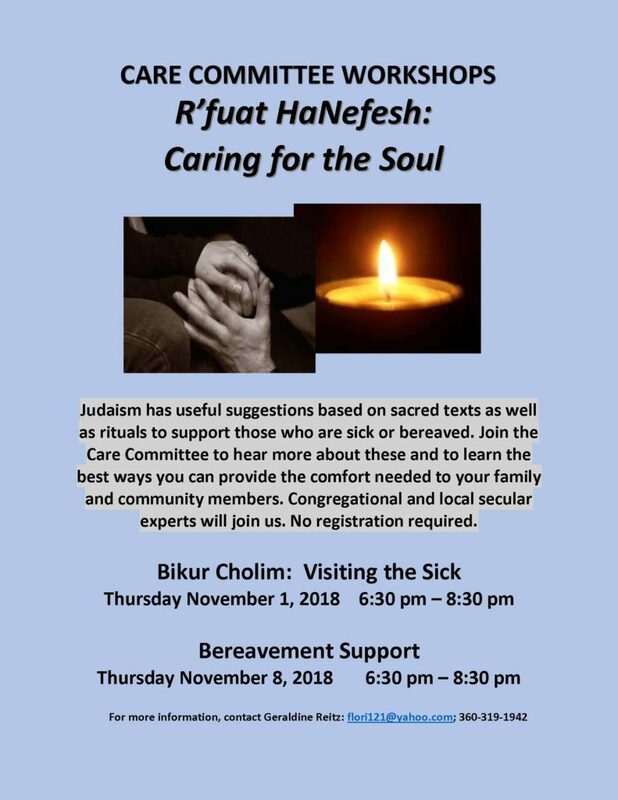 Beth Israel’s Care Committee, in the spirit of Bikur Cholim, coordinates assistance and support for members experiencing illness/incapacity, loss, or major life changes. It is co-chaired by Else Sokol and Harriet Markell. Contact the synagogue office for more information.